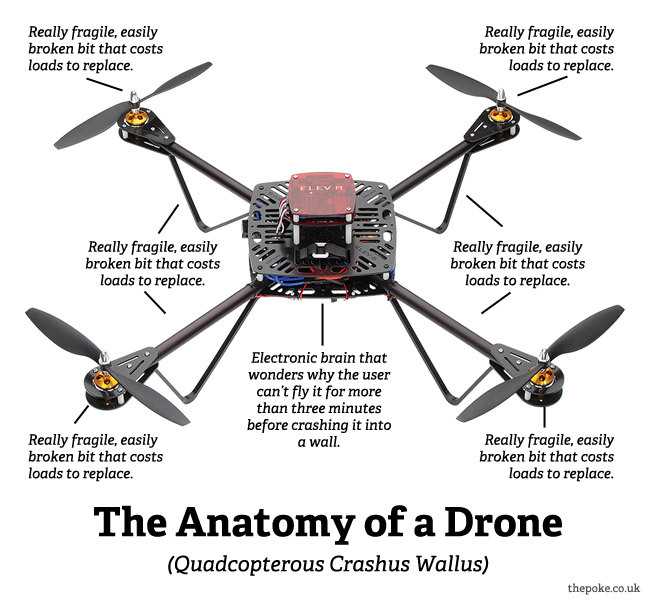 Should You Buy or Build Your Own Drone? So you can see that it takes a little time and technical knowledge just to pick the parts list, but the bulk of it happens after you’ve gotten your parts. The actual build can seem incredibly daunting, but in reality it isn’t that bad. However, you’re first build is bound to take extra time and have some mishaps along the way. If you’ve never soldered before, I’d suggest getting some spare parts and practicing until you get the hang of it. The biggest two scenarios I find myself soldering in is wire-to-board, such as ESC power wires to a power distribution board (PDB), and wire-to-connector, such as ESC outputs to bullet connectors, or battery leads to xt-60. These two scenarios aren’t incredibly complex, but you’ll want to know what you’re doing so that you get good solder connections and your drone stays in the sky. Now here’s where things can take a little time and get tricky, you’re going to need to ensure that you wire your motors to the ESCs with the motors spinning in the correct direction. I like to do this with a simple test setup using a battery and a servo tester, by connecting the motor to the ESC, the ESC to the battery, and the ESC servo lead to the servo tester. The knob on the servo tester will allow you to spin the motor, you should make note of the direction it is spinning. If this direction is correct, you should mark the connections between the motor and the ESC so that you can keep them in this order once you install them in your drone. I like to use three colors of electrical tape and then match the colors when I’m ready for final installation. Once your motors and ESCs are sorted out, it’s time to install everything on your frame and do your wire management. Extras such as expando sleeving and zip ties can help keep your wires organized and looking sharp, but aren’t a requirement. From here, you’ll have to setup your flight controller, which varies greatly depending on which one you chose. Your final hurdle before having some great flights will be tuning your gains. Essentially, an out-of-the-box flight controller isn’t perfectly calibrated for the drone you just built. This usually manifests itself through an extremely jittery flight, an unresponsive flight, or and overly responsive flight. YouTube and the forums are your best friend here. Search for your flight controller + tuning gains, and you’ll find a wealth of information to get in perfectly dialed in. There are different types of drones available, things your need to know first before buying, and accessories you should be familiar with. Buying your drone is a great option, and it doesn’t mean you’re lacking in technical ability or not devoting enough time to your new hobby. In fact, I like to recommend that if you’ve never flown before, or touched anything remote controlled, that you do go ahead and make your first drone a RTF system such as the DJI Phantom or 3DR Iris. I say this because I know that when you get comfortable with your new drone, and have many hours of flights (and small repairs) under your belt, you’ll be left wanting more. For me, drones are like potato chips, you can’t have just one, and I’m sure my veteran readers can attest to this. Your fleet will grow in size, and hopefully a few of the new drones you add to your fleet will be custom rigs that you build yourself. I think buying a Ready-to-Fly drone is great for beginners because it prevents “hobby burnout” that can come when your new drone hobby starts to feel more like a tedious and frustrating experience than you expected. When ordering a custom build, a lot can happen that can delay progress, you’ll get a bad motor or ESC in your order, or your frame will be missing some screws. These little setbacks are easily solved, but can take their toll on the beginner who is itching to get in the air. This “hobby burnout” is the number one reason for finding frames and miscellaneous parts for sale on forums and craigslist. One way to prevent this from happening is by already having a drone you can go fly while you’re waiting for your parts to come in the mail. I don’t think buying or building makes you any more or less of a drone enthusiast, and I’ve certainly done my share of both. So go ahead and get out there and put together your parts list or order your RTF drone, or maybe do both at the same time! We’ve got a parts list coming so we can put together a building tutorial for you all, so keep checking back for that in the future! Hey Rahul, What specifically would you like to know?